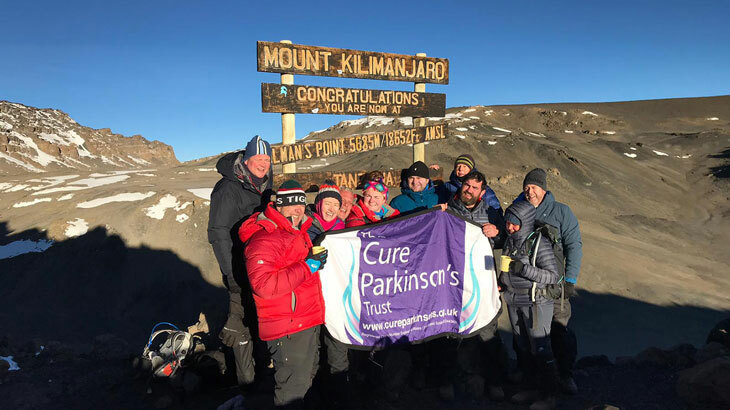 Iron will, sheer determination and calves of steel, combined with the unique fellowship and spirit of the Worshipful Company of Butchers saw our team of 10 intrepid travellers conquer the summit of Mount Kilimanjaro, Africa’s highest mountain. At the summit of Mt Kilimanjaro, a fantastic effort to raise funds. Our Butchers’ team of David, Liz, Lucinda and Charles Baker, Liz Alexander, Jo and Tim Stone, Martin Pointon, Andrew Parker and Steve Chick, together with their team of guides, are to be congratulated on their fabulous efforts in raising nearly £70,000 for The Cure Parkinson’s Trust and the Master’s Million Fund, which aims to raise money for the refurbishment of Butchers’ Hall. If you haven’t donated yet, please do so by contributing now via the Just Giving page. The team of climbers reached the summit of Gillman’s Point at 5685 metres following 18 hours of the hardest, toughest and near impossible hiking. Unbowed and unbeaten by the heat and rain forest humidity, sub-zero temperatures and hail our team ventured, together, over uneven and unstable ground, volcanic rock and scree to the top. The shortage of oxygen, accompanying headaches and dizziness attributed to altitude sickness, sleep deprivation and sheer exhaustion of the physical and emotional effort tested our team to the full. With the growing doubts of the physical and mental challenge in front of them at some point, somebody had a “low.” Such was the strength, spirit, camaraderie and combined will of the team that there was, inevitably, someone there to lend a hand, give a word of encouragement or just a squeeze to generally lift the spirit. After 4 days trekking, the final 7-hour ascent started at midnight. Illuminated by head torches, trained on the feet in front, the juxtaposition of such a sight with an African sky full of the brightest stars was to prove a never-to-be-forgotten experience. Buoyed by the rising sun, having come so far, together and with the end in sight, our team sang their way to the summit while tears of uncontrollable joy, relief and realisation accompanied them. It seems the descent, with muscles burning from the effort, proved almost as great a challenge although by now the feeling was of elation… aided by the oxygen now pouring into their lungs. 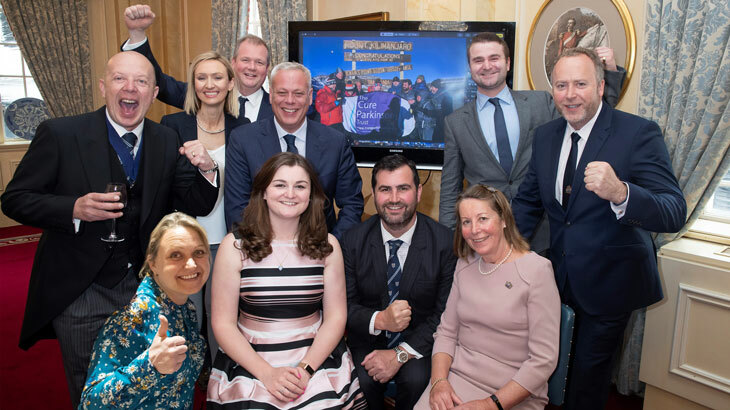 The team reunited at the April Court Lunch, where they were rightly congratulated by those in attendance, who also got to enjoy the stunning photos and hear about their experience. The climbers reunited at the April Court Lunch. Please help the Kilimanjaro Climb cause by donating at the Just Giving page. Details of future Livery Events and how to book.